Let’s Dance to this Song! I come back home and I see this! So since I had nothing to blog about I decided to start a new type of category within a category. This one is on music and you can tell who I’m jamming to at the moment and what songs I’ll be showcasing and such. The one to honor the first Rocking 2 Category is the Queen of Kpop Lee Hyori!! Her new album dropped Mar 29, 2010 and I’m digging the eye makeup. So funky and fresh! I love all the songs on this album I totally understand why she pushed her comeback date so far back. This is one of the best albums that I have listened to. By the way, it took me about 1 hour to edit the thing and about the full day to film it… so embaressed about talking to a camera the whole day… luckily nobody judged me. 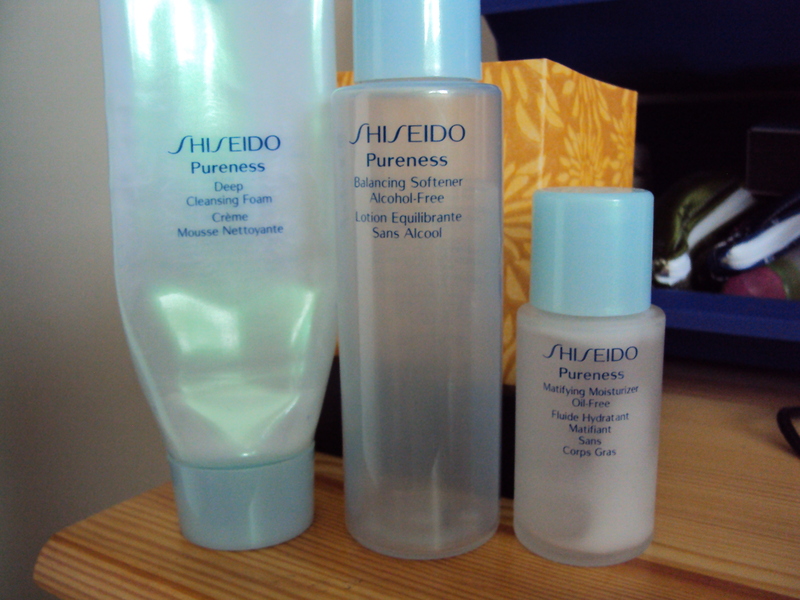 Review: A little backdrop in the Shiseido Pureness line, this skincare line is meant for those who have oily and acne-prone skin. I basically fit in that description so I thought that I would try out this starter set before actually buying the full sizes. What is included in this little set is the deep cleansing foam, balancing softener (a.k.a. toner), and the mattifying moisterizer. When I first started using these products I totally saw a difference in my skin, the pores looked smaller, my face was actually mattified, and it felt like the skin was rebalancing and recoverying from using acne cleansers. Things that I disliked was that it made my skin feel really really dry afterwards and the mattifying moisterizer did not have enough moisture or so I felt. Though after I stopped using the cleanser it didn’t feel so dry. 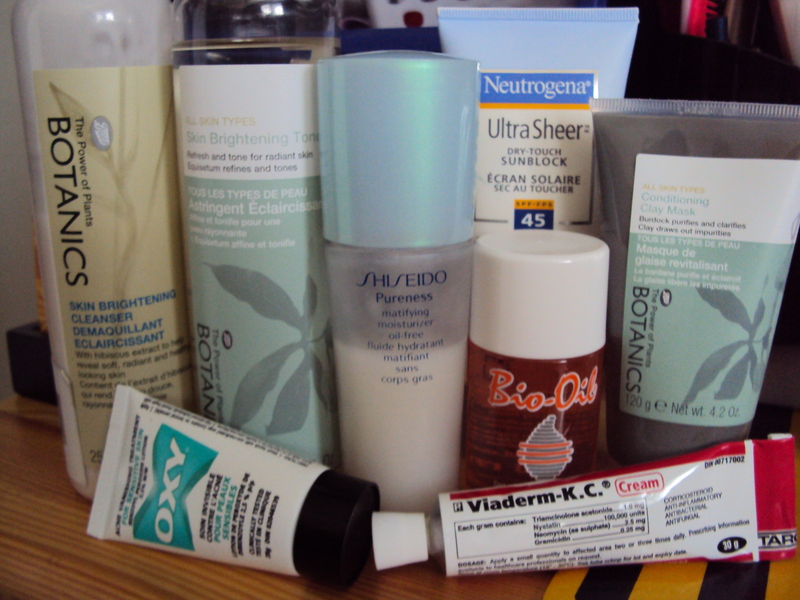 The products did really mattify my skin and is great for those who have pretty oily skin but just having one or two of the three products doesn’t do much for your skin. The only thing that I thought was worth it’s money was the mattifying moisterizer which I bought a full size of which was about the same price as the set that I bought. Overall, I think the products are good but I don’t agree with the price tag that goes along with them. Would I recommend these products? For those with oily skin yes but I would only recommend the toner and moisterizer. The deep cleansing foam I thought to be too harsh with the exfoliation beads in it and everything. So I’m back to blogging… hooray!! So that is the plan for the next few days and yes, on Fri there will be an actual video of myself posted up on this site. I’m going to test drive the video function on WordPress to see how long it takes and such. Signing out! Going to study some Japanese which is the last exam that I have. Woohoo! Hence, today’s title. Have a great day everyone!